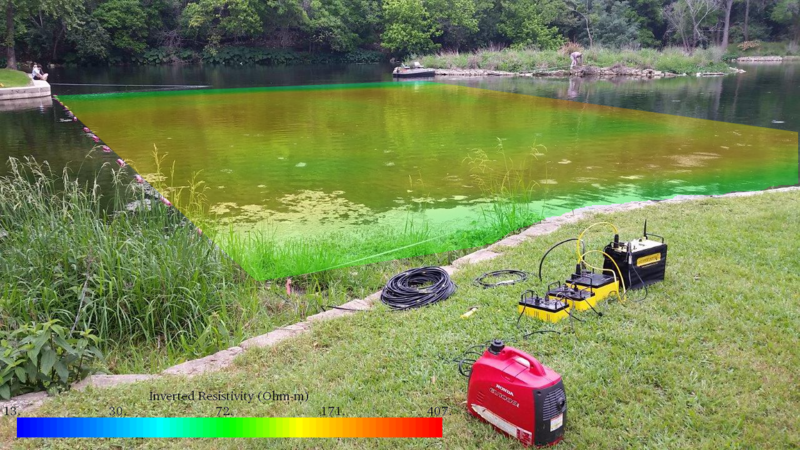 In March 2015, AGI, in partnership with The Jackson School of Geosciences at The University of Texas at Austin and Dr. Marcus Gary of the Edwards Aquifer Authority, conducted a hydrogeology workshop focused on groundwater exploration. Comal Springs, Texas, is home to the self-named springs, which flow from the Edwards Aquifer. The Edwards Aquifer is a karst aquifer that serves the agricultural, industrial, recreational, and domestic needs of almost two million users in south central Texas (source). The springs are also the starting point of the Comal River. Underneath the fractured limestone of the springs are pathways for water. This is of importance for hydrogeology; because water flows here, we can draw conclusions about how limestones and aquifers mix. The purpose of this exploration was to use 3D imaging with floating marine cables and a small number of electrodes to demonstrate how AGI systems make it simple and fast to see 3D volumes below the ground. 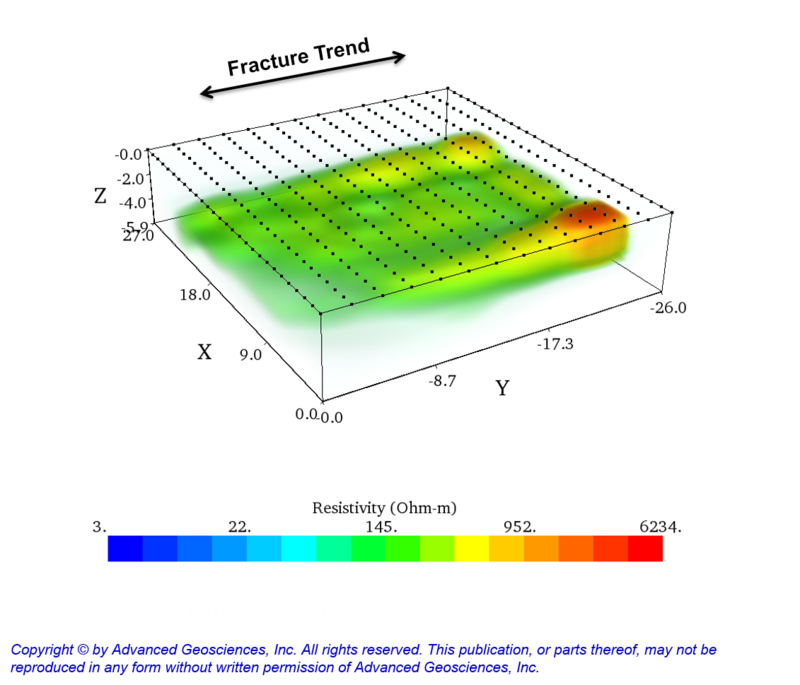 In this case, we were training students and professionals on how the instruments can map groundwater flow. 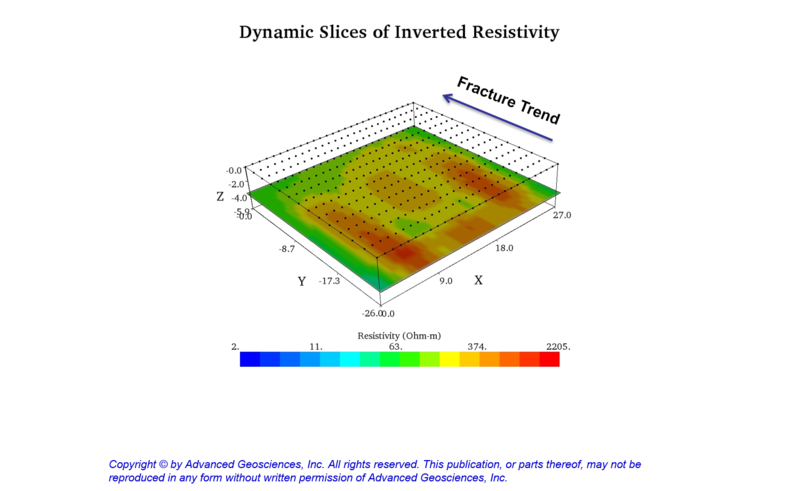 Instead of going the traditional route (installing electrodes in the ground and surveying), this method involved measuring resistivity via floating 28 electrodes spaced one meter apart on AGI's patented Passive Graphite Electrode Cable. These were floated out on water and used to rapidly measure a 392-electrode 3D array over a spring to locate zones of higher seepage. 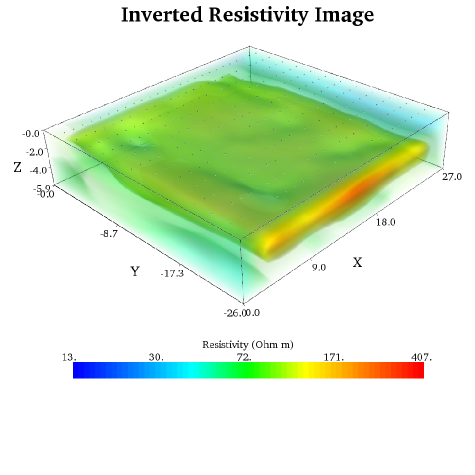 Observed gas bubbles were associated with seepage and were found to be rising up over karst features imaged in the 3D resistivity model. 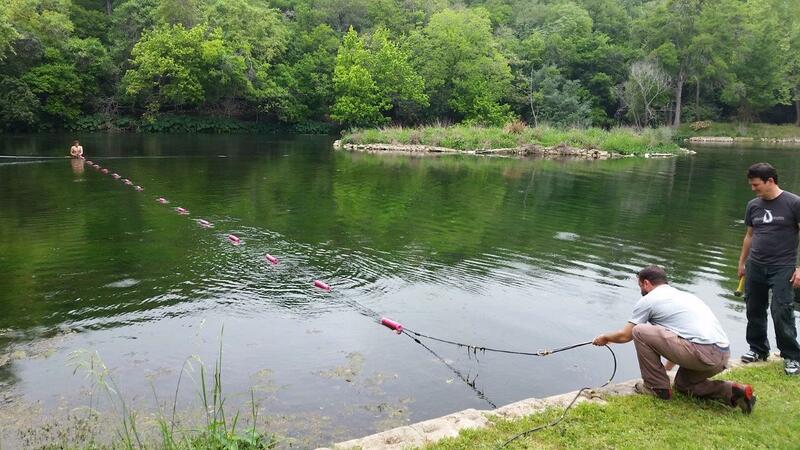 Ease of use: It’s easy to mobilize on water by floating a cable. Simply hold it still, then move it when it’s done measuring (about 5 minutes in this case). 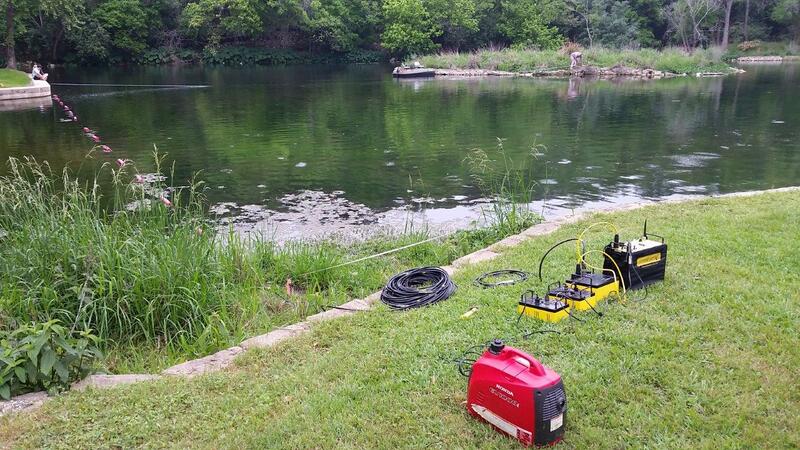 You don’t have to install electrodes, which is important and time-saving when you’re surveying waterways, rivers, estuaries, etc. Specially-designed tools: These rugged instruments are meant for marine work. Detail: When you model in 3D, you can take into account any 3D artifacts below the ground, getting a more accurate image of the subsurface. This is an efficient and relatively easy way to do 3D imaging with a small amount of electrodes (which is more affordable and efficient). It’s an ideal choice for groundwater studies.